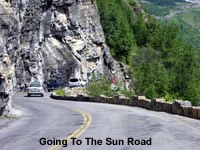 Yahoo has put together a list of the scenic drives in America they consider the best. Even though high gas prices have people thinking twice about jumping in the car and going for a drive, why not make one of these drives part of a summer camping vacation? Which drives made the top 5? 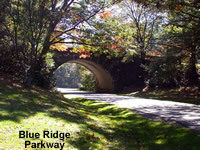 BlLUE RIDGE PARKWAY This 469 mile drive along the southern Appalachian Mountains is often called America's Favorite Drive. Shenandoah National Park and the Smoky Mountains are along the parkway. HANA HIGHWAY Okay, this one might not be a doable drive on a camping vacation unless you already live in Hawaii because the Hana Highway is on the island of Maui. 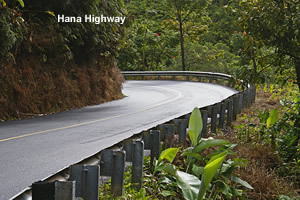 The 50+ mile drive has 600 hairpin curves, 54 one-lane bridges and spectacular views. 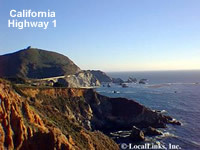 HIGHWAY 1 Also called California State Route 1, this road hugs the Pacific Coastline and boasts views of rocky shoreline, beaches where otters or sea ions may be seen, and towering forests of trees. Consider camping in the Big Sur area where you can go beachcombing and can hike the redwood tree forests. It also go through several coastal towns and the cities of Los Angeles, San Diego, and San Francisco. 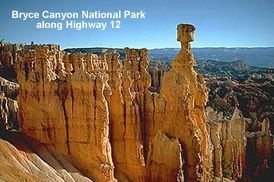 HIGHWAY 12 Utah's Highway 12 connects Bryce Canyon National Park and Capital Reef National Park. The scenery includes sandstone formations, red rock canyons, mountain ranges, and lakes. GOING TO THE SUN ROAD This 52 mile drive can only be driven a few months of the year, from the early part of June to the middle of October (or the first snowfall). The road is located in the Glacier National Park in Montana and has lots of lookout points and points of interest. There are views of glacial lakes, cedar forests, and windswept alpine tundra.